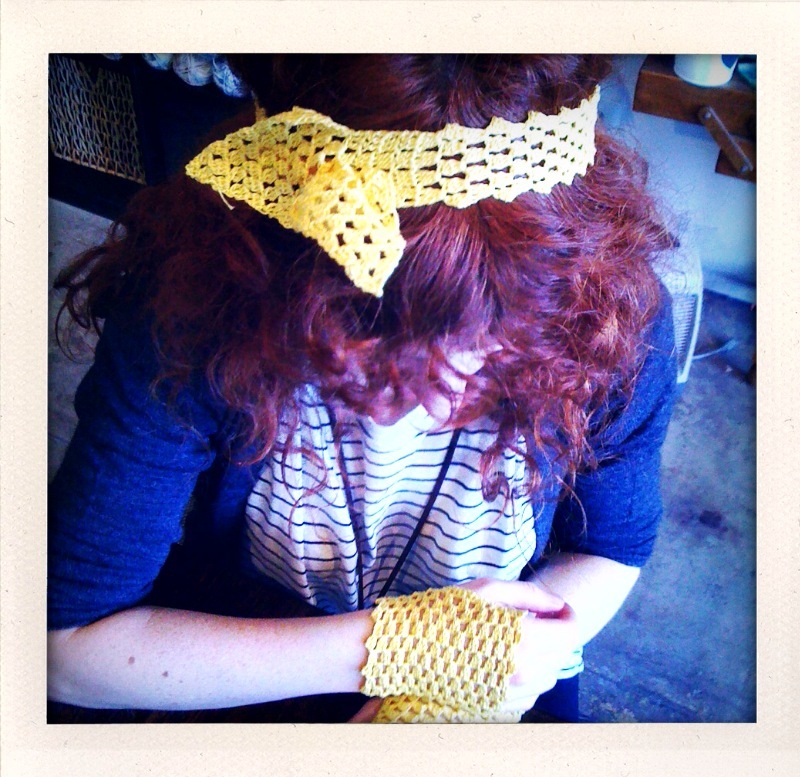 Rockin' my freshly crocheted headband and gloveletts. So I was at the shop the other day, and my hair was really revolting against me. It’s curly, which means if I sleep on it weird, it becomes, shall we say, avant garde. I had whipped up one of those knitted tie scarf cuties back in December, and it suddenly occurred to me I needed a cotton version I could wear on my head on warm days. 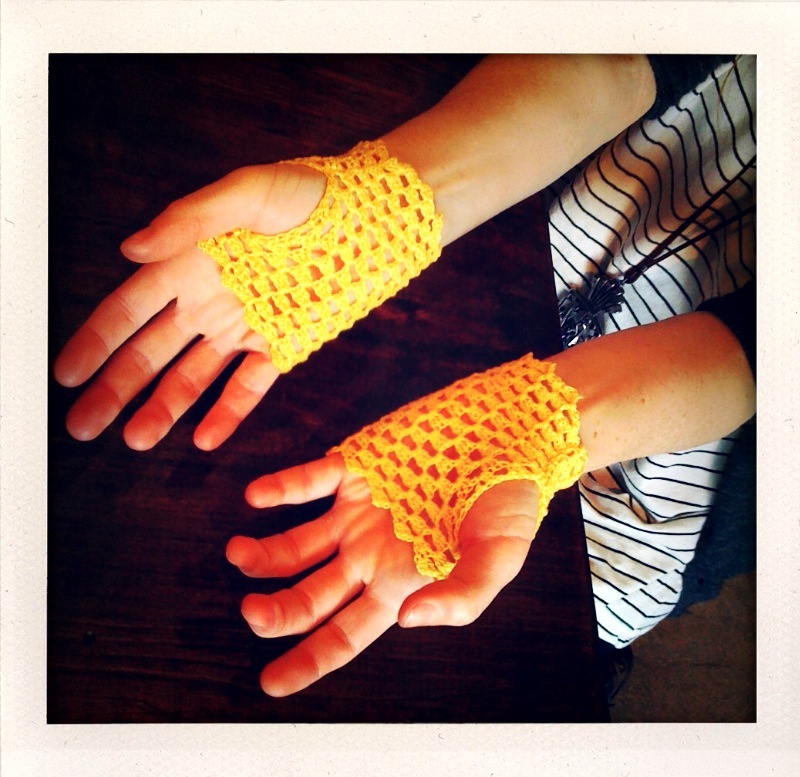 Plus I was brainstorming a good project for the crochet cotton I just got in the shop, and voila Cherish the Glove (and Headband) was born! Cherish is the word I use to remind me of... these gloves! I’m completely enamored of this pattern. 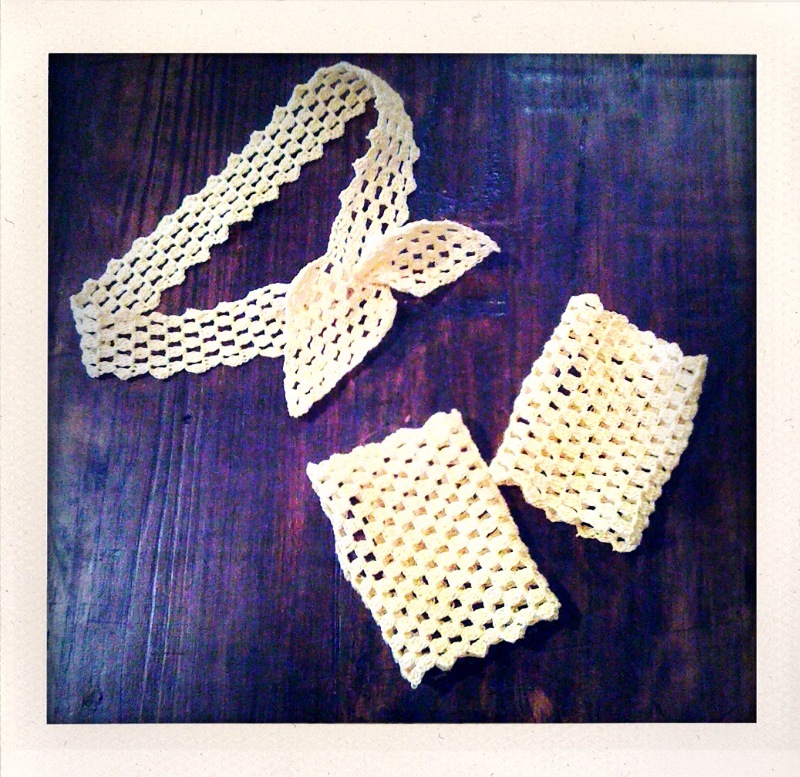 Crocheting mercerized crochet cotton on a tiny hook is almost easier than normal crocheting, because crochet cotton does not split! Which means you can hook fast without fear of mangling your stitches. Now all I want to do is make these in every color (sparkly black anyone?) for every Material Girl I know! Admit it, you want these!